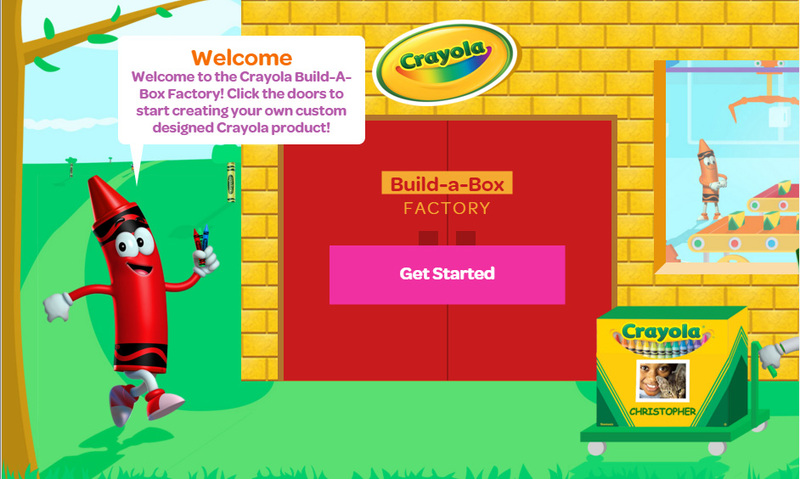 Crayola is ready to join the newest internet craze by personalizing crayon boxes! 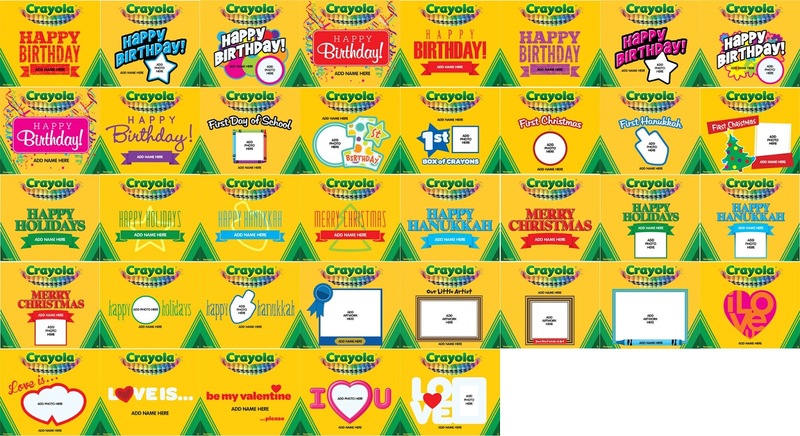 Crayola My Way is a site where customers can personalize 8 count boxes, 64 count boxes, and art sets. Crayola first tested a form of personalized crayons in 1990's. They had a contest for choosing new color wrapper names. This is where names like purple mountains majesty, denim, shamrock, and macaroni and cheese came from. They loved it so much, they ran more contests, State Crayon names, Facebook crayon wrapper names and many more. Currently at the Crayola Experience guests can customize crayon wrapper names. But Crayola My Way is the first time customers can personalize a Crayola crayon box. I was so excited when Crayola contacted me to do an honest review of this product. I was able to pick out some boxes of my very own to design and here they are. I chose to personalize a 64 count box and some 8 count boxes. I chose the 64 count box design because I always get Crayola products for my birthday and I loved all the colorful ribbons on the box, it reminded me a lot of one of my favorite box designs, the 100 gold box design from 2002. For the 8 count box I thought it would be really neat to have my daughter draw a picture an put it on a box. How cool is it to have your own drawing on a box of crayons. She thought so too, because since she got them she has taken them everywhere. She asked today if she could get some more with a new design. I ordered the boxes on a Monday and got them on a Thursday. I could not believe how quickly they came. I could smell the familiar scent of crayons as I opened the box and was tickled pink when my name was on it. It is the first time my name has appeared on a Crayola box of crayons! The printing on the box was very good quality. It was slightly embossed and I could feel the design on my finger tips. My favorite sites to personalize gifts are Shutterfly and Artscow. The prices for Crayola My Way personalized crayons are pretty comparable to personalized items on these sites with one exception. The 8 count boxes are $4.99 to order, with a minimum order of 5, making it almost 25 dollars for one design. That works well if the crayons are the same design, but for people who want many individualized boxes, like a teacher for a classroom, it would be very pricey. I think if this one option was changed it would be perfect. One more addition that would make Crayola My Way perfect is if the crayon wrappers could be customized with unique crayon names. What do I think of Crayola My Way? I think it is amazing and so much fun. I am going to treasure the boxes I made for years to come, and probably order more soon. I think for anyone that wants a personalized gift for someone special it is the perfect gift, especially those who love to color. I can not wait to see what comes next and what else we will be able to customize. I will be first in line to get it. The ordering process is an animated process through the factory, with Tip and his friends as the guides. The 64 count boxes and the Art case can include custom colors can be themed color packs, or a set of 16 colors of the same color. There are a lot of themes available for such a new offering shown below. I have so many ideas of what could be done with the boxes. The only option I wish was available was a custom text area, currently there is not an option for that. After the theme is selected, text and picture are ready to be filled out. There are 6 options on the font type, and font color options as well. Once approved, the box is made it is ordered and shipped to out. Do not forget to put in a discount code if you find one. This can save a lot of money. Now go and enjoy your personalized box of Crayola crayons made just for you! Here is the link to order some.